How do make blog template enable for "dofollow" comments........? I previously discussed about how to get mare backlinks by commenting. I feel that most people has realized that and comments on my blog. Also some of them have massaged me about it. I want to say that unless you have commented on blog which have provided do follow comments you may have less value. Therefore most people are reluctant to comment on nofollow blogs. As most of them hopes something more than your appreciating comment like "thank you for your comment". So it is very important to make the comment site of your blog dofollow to commenting people. Then you will get more and more comments. How to edit the template for "dofollow" comments........? 1. First go to dashboard. 2. Then have a backup of your template. 3. Then go to edit template. 4. Tick on expand widget template. 5. Press "Ctrl+F " to find the following code. 6. 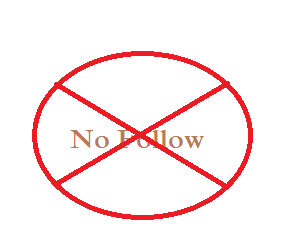 Then edit the "nofollow" as "dofollow" as following. 7. Now the work has finished. Preview for any problem in the template and save the template. 8. At last mention somewhere in your blog that you have provided dofollow comments. 9. 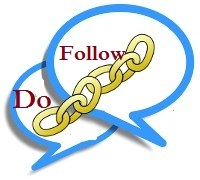 Also do not forget to ask for your friends to add your site to dofollow list of blogs. I think you are satisfied with the article. If any case please do not reluctant to contact me. That did not work. The code was not there. I have double checked the template... but if you have custom template this may be little different.. I use the html to add the no follow/do follow links on my articles. This is definitely something that confuses many bloggers but is so important. yes I too think such.. most of the time they only get the important they come close to a page rank update..
Do follow/ No follow - this is something that is so important to know about! Thanks for the tips. Most people believe it is a "waste of time" to post a comment on a blog/website that is No Follow. These links, while not as useful as a Do Follow link, are far from useless - assuming the site you are posting them on is worth posting a comment to, whether its Do Follow or not. How do you think it looks to G if you have nothing but Do Follow links to your website? Certainly not natural, and natural is the name of the game these days. However this method highly recommend to get more comments! thanks a lot my friend for your valuable comment. hmm..i successfully make it from nofollow to dofollow. Now let's see what will happens. Being a newbie as blogger your post is very helpful for me to create new templates for my blog to attract readers and visitors. Blogging is one of the effective and fast method to get good business and traffic.